Starting as just a virtual currency, backed up by mathematical codes, bitcoin has now become more than just a reality. Last year, the currency rose from $13 to $1,200 by November. Due to the rise in popularity and the global use of the currency, the Australian Taxation Office (ATO) could not afford to continue overlooking it. At the same time, they still do not know how to regulate bitcoin; whether to classify bitcoin as a currency or a commodity. It seems that this is one of the issues that governments are facing in regards to bitcoin, around the globe. Moreover, the Australian treasury states that it has no plans of categorizing bitcoin as a legal tender. The Canadian government, too, ruled last month that they do not consider bitcoin as a legal tender. Anti-Money Laundering and Counter Terrorism Financing Act 2006 is being reviewed by the Attorney General’s Office. They want to figure out if a government change is needed now to cover bitcoin and to better protect investors. 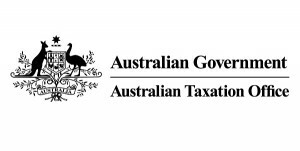 The ATO is looking to issue guidelines on how to account for the digital currency in this year’s tax returns. United States’ IRS, the counterpart of the ATO, is also aiming to issue guidelines within this year. Senior assistant commissioner Michael Hardy said “The ATO is working on a holistic understanding of the taxation treatment of Bitcoin to be in a position to provide certainty for the Australian community.” He told the Financial Review’s Sunday program on Channel 9 that the ATO will provide advice to taxpayers before June 30th. Hilarie Dunn, spokesperson from the Australian Securities Investments Commission (ASIC) stated “Electronic currencies or crypto currencies – which include Bitcoins – are a developing area globally. Like other regulatory bodies around the world, ASIC is considering whether and how current legislation (such as the Corporations Act) might apply to these arrangements.” It seems ASIC has put bitcoin on its regulatory radar. We will soon be seeing the outcomes of this in the near future. Just as bitcoin has been gaining in popularity, lately it has also attracted a lot of negative attention. For example, there has been the recent crackdown of the black market Silk Road and the arrest of Charlie Shrem, CEO of Bitinstant. Still, illegal activities have been occurring through legal tenders since time immemorial.